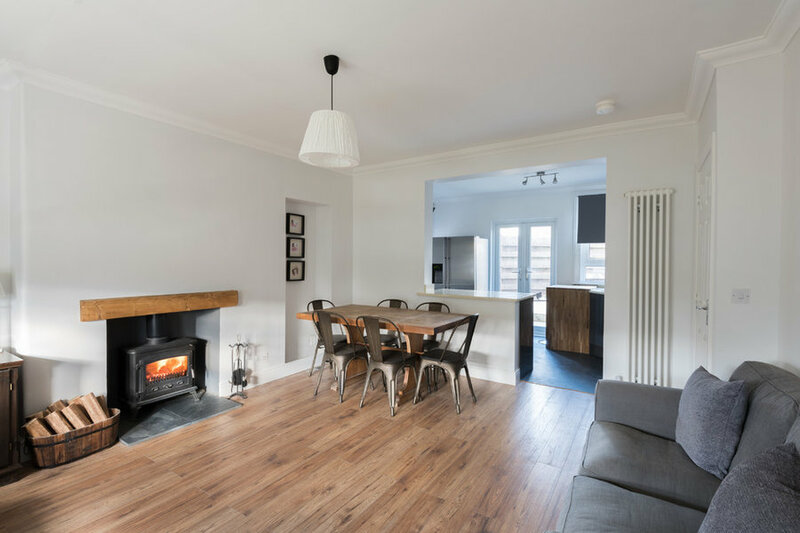 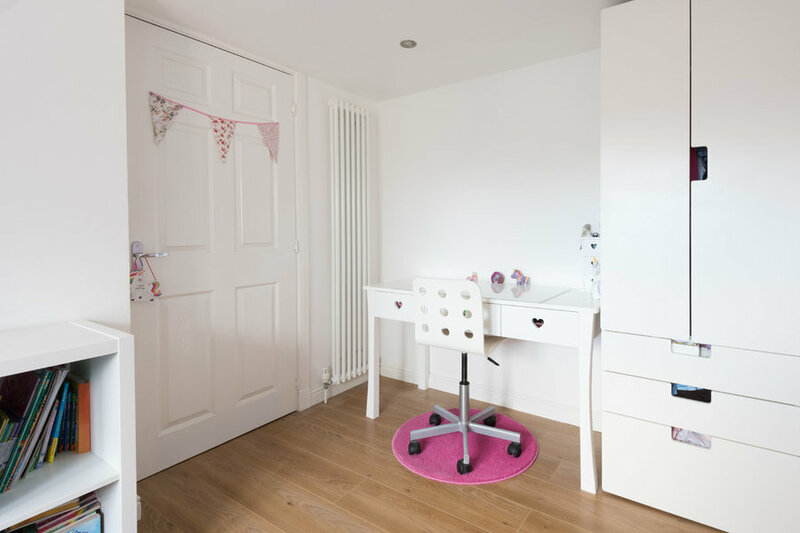 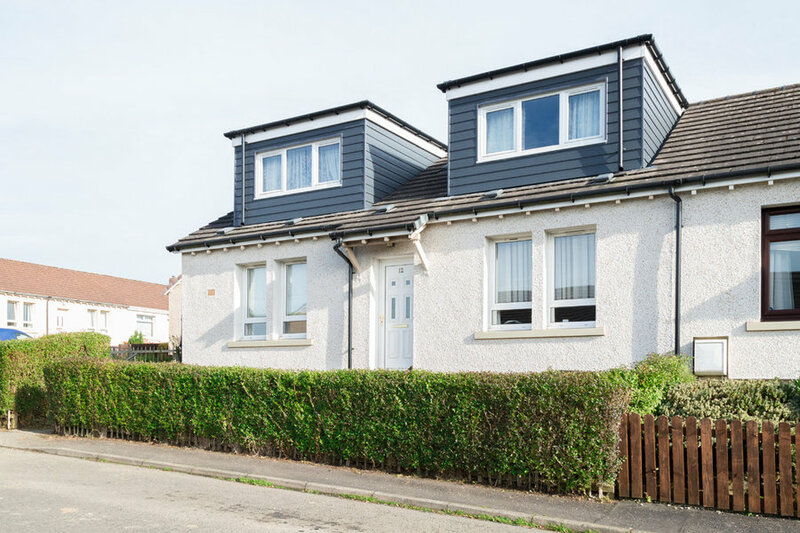 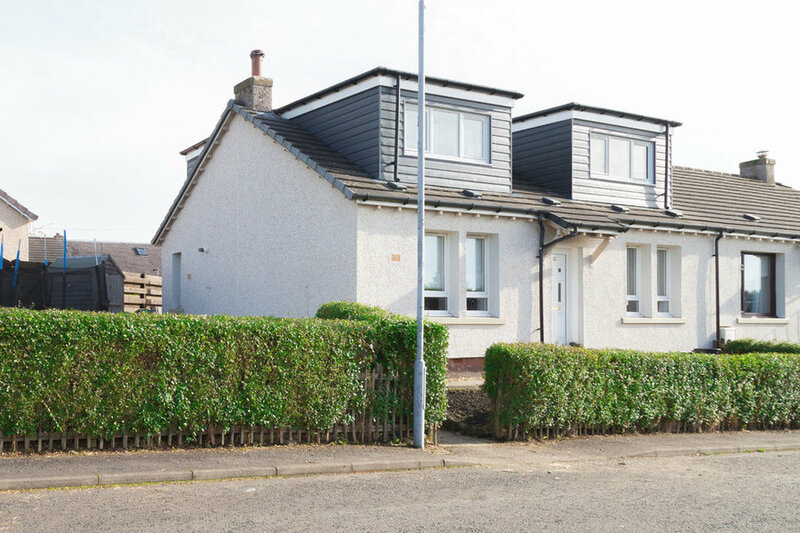 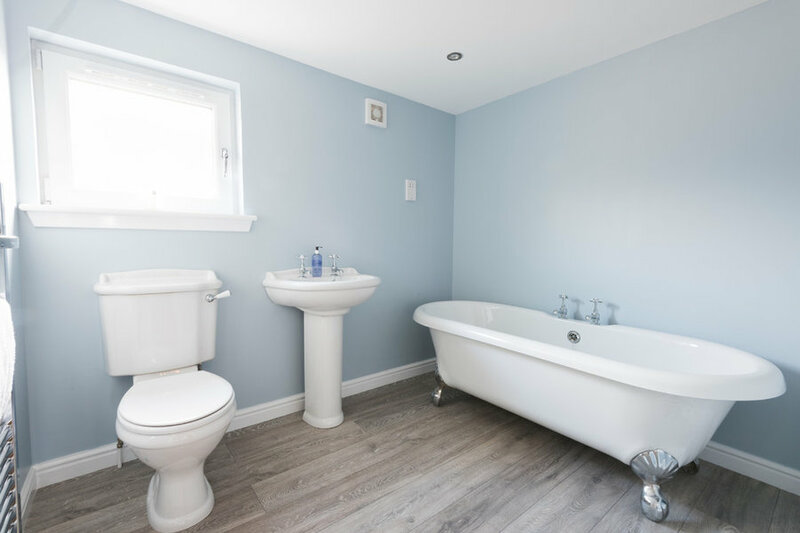 The addition of three large dormers to this two bedroom semi-detached bungalow in Auchiloch, Lenzie meant the floor area of the house almost doubled. 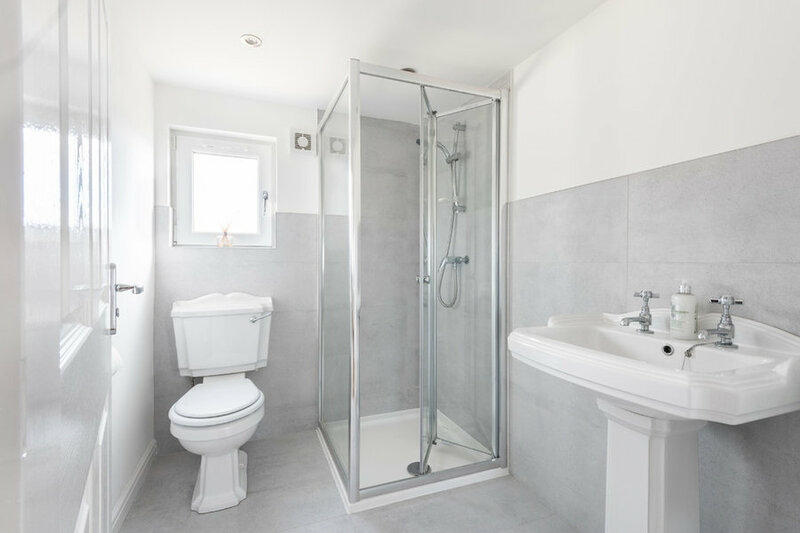 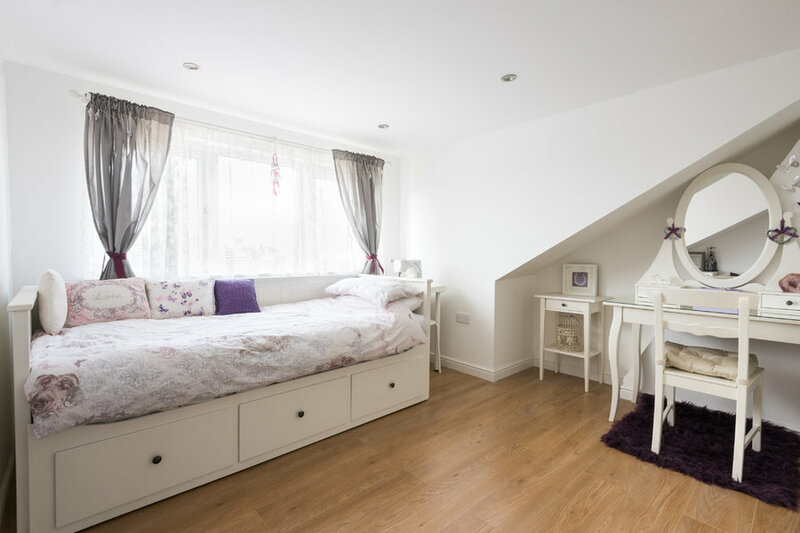 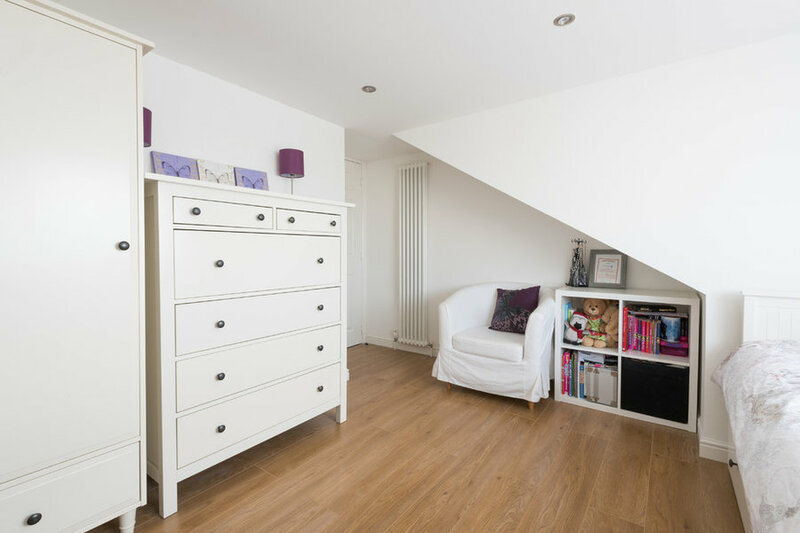 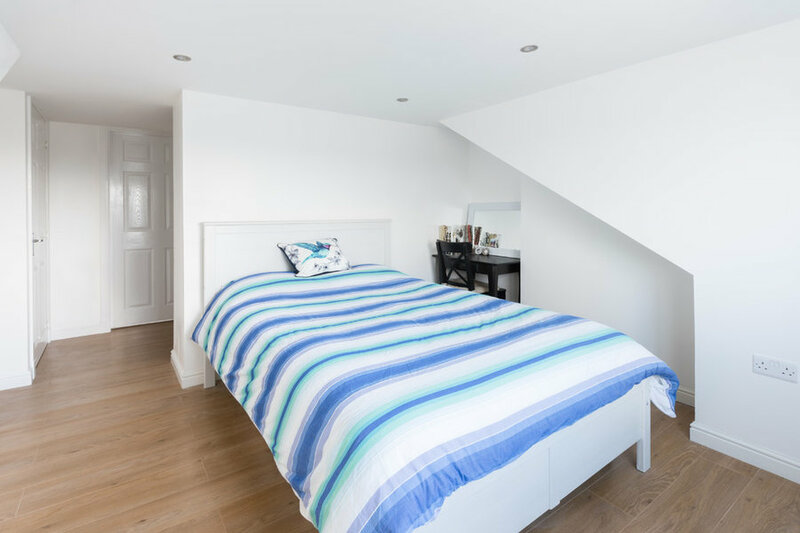 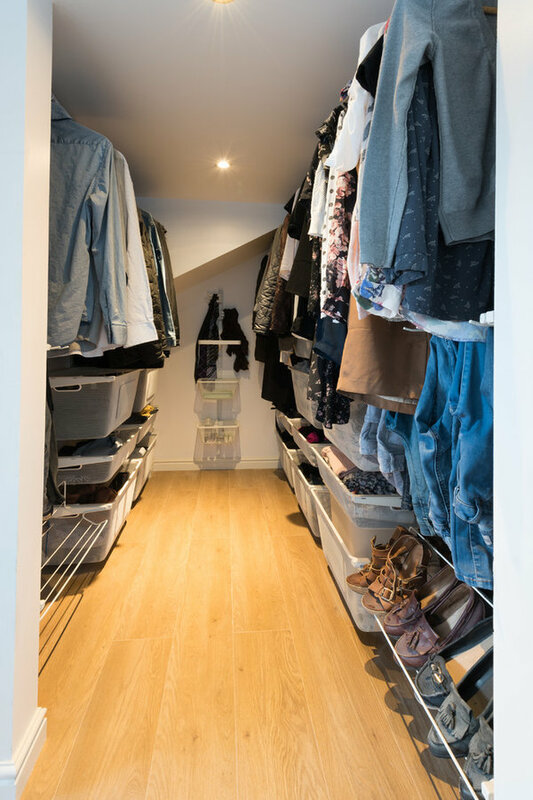 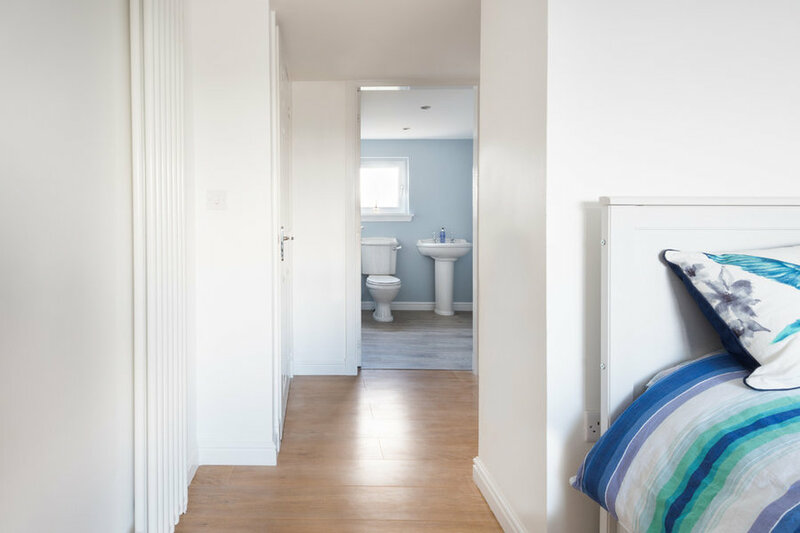 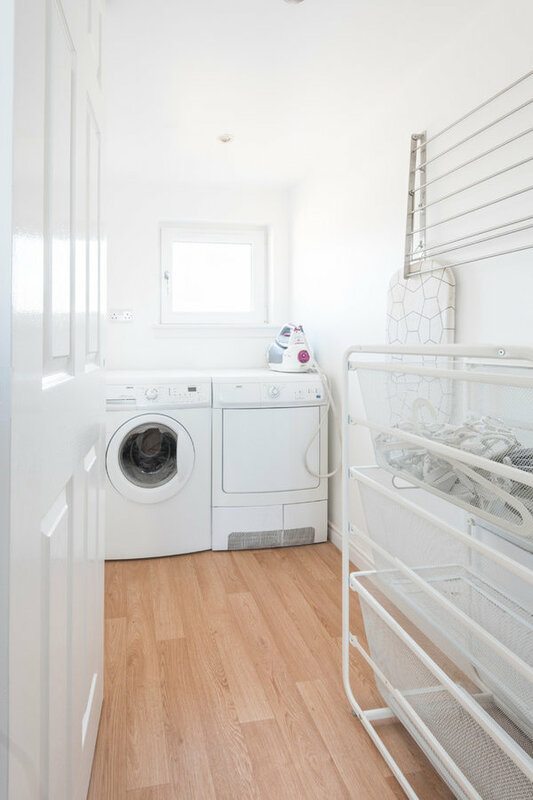 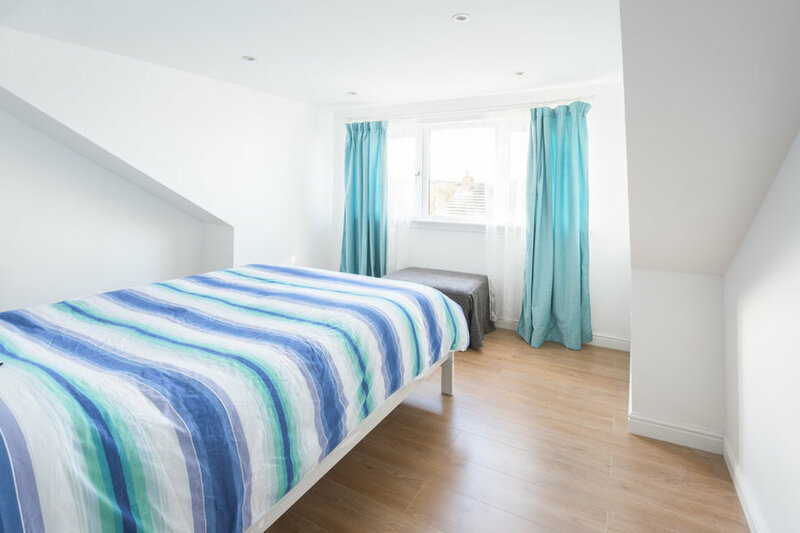 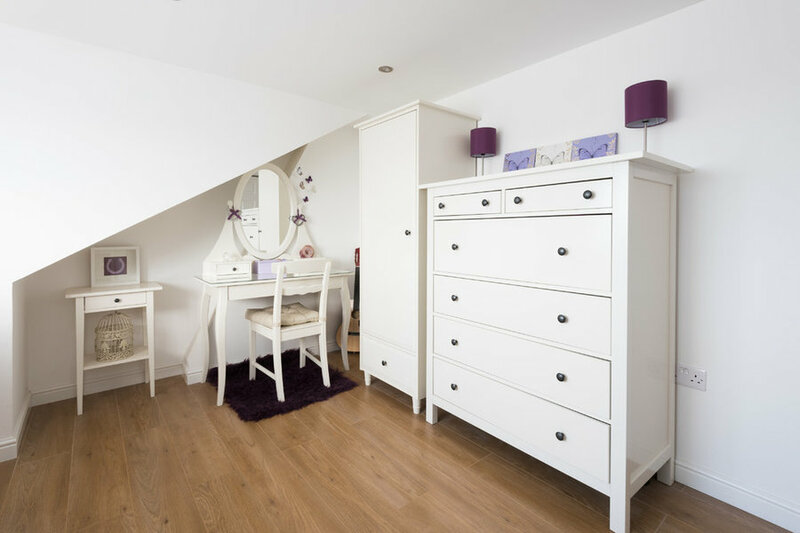 The new first floor layout comprises three bedrooms with an en-suite bathroom & walk-in-closet to the master bedroom, a family shower room, and laundry/ utility. 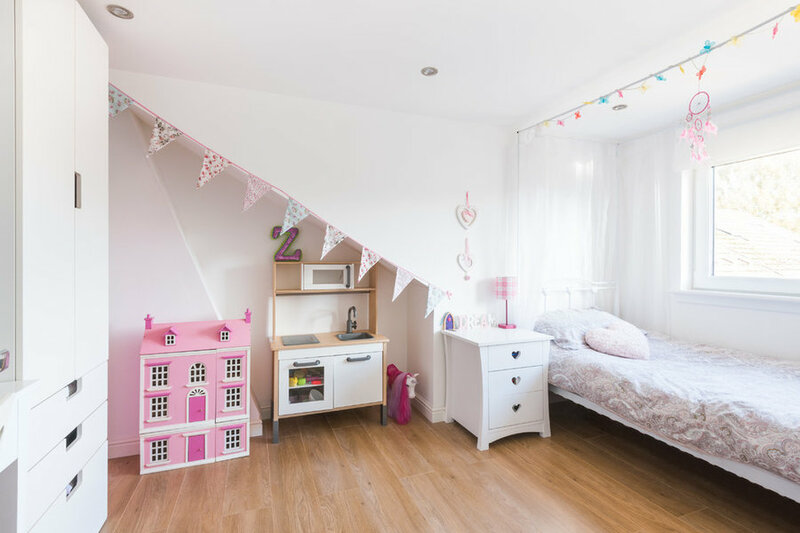 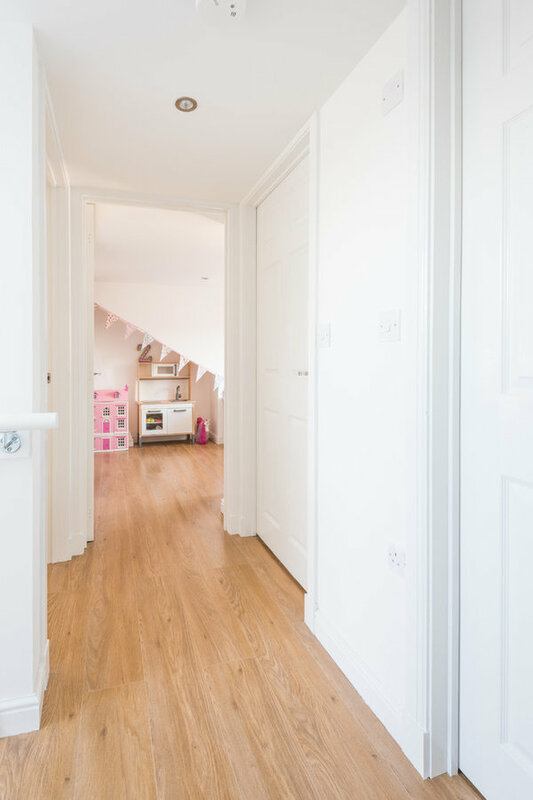 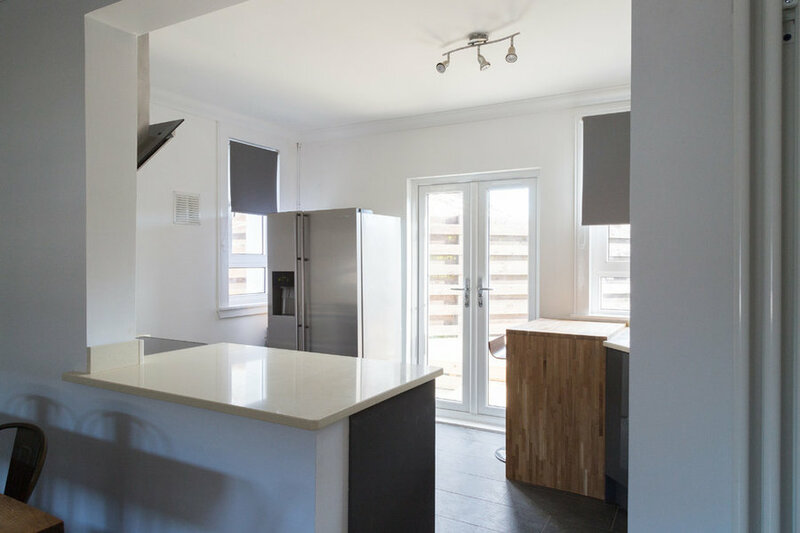 The ground floor layout was also altered to accommodate the new stair, and an opening created in the kitchen wall to form an open plan living/ kitchen/ dining space.